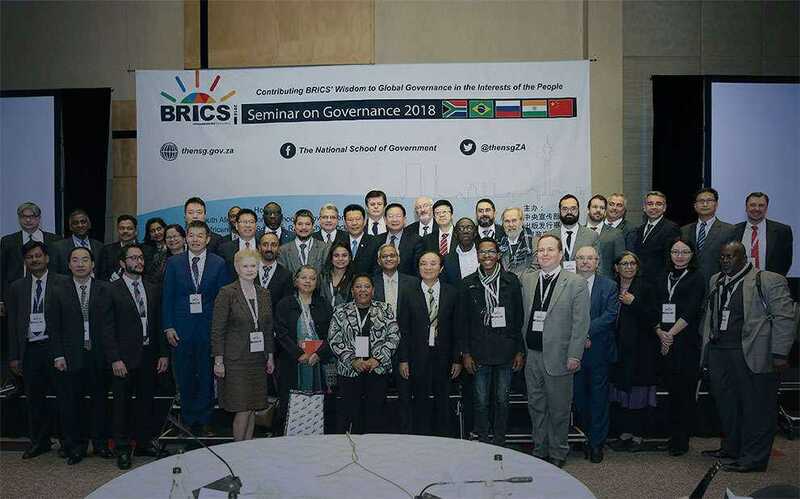 Leonardo Paz Neves, a researcher from FGV’s International Intelligence Unit (NPII), participated in the Brics Seminar on Governance 2018, held in Johannesburg, South Africa, on July 4. The event took place within the Official Brics Conference, which brought together leaders from Brazil, Russia, India, China and South Africa. The event was organized by the Publicity Department of the Central Committee of the Communist Party of China, the National School of Government of South Africa, the South African Council for Humanities Research and the Foreign Language Publication Administration of China (China International Publishing Group), and brought together experts from the countries that make up the block to promote the institutionalization of the exchange of experiences of the BRICS in governance, expand the exchange and cooperation of the BRICS and contribute wisdom and solutions for the opening of the second “Golden Decade” of cooperation. Leonardo gave a lecture on the theme Achieving Inclusive Economic Growth in the Fourth Industrial Revolution in the Interest of the People, where he talked about the impact of the so-called 4.0 industry in promoting inclusive economic growth.